A well installed and maintained Fieldguard electric fencing system will last for very many years, but it does need a little tender loving care from time to time – something we tend to forget this while it is working and looking smart. The old saw ‘a stitch in time saves nine’ holds as true even with our tough product. 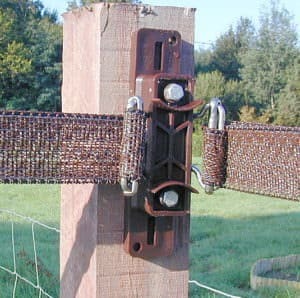 Fieldguard electric tapeis the original electric fencing tape, developed by Fieldguard with our French partners – both being horse breeders – in 1984. It is designed to be safe and durable, allowing owners peace of mind. Few tapes are as robust and exhaustively tested and it has a designed life span in excess of 25 years. Our electric fencing tapeis highly visible, very strong and flexible so cannot harm animals. 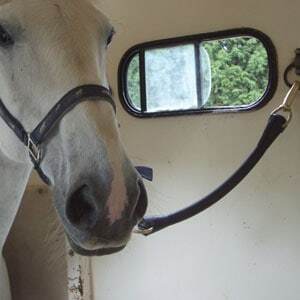 Fieldguard electric tape has outsold all other wide horse tapes combined in Europe and since 1997, has been the top-selling tape in the USA and Australia. It is ubiquitous and can fulfil every animal containment need. 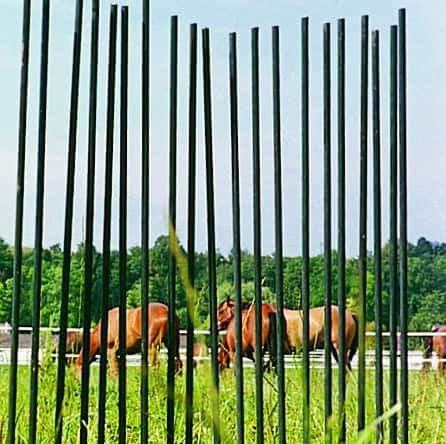 For instance it can be used to temporarily fence an area, to render a barbed wire fence safe, keep a stallion in (or out) or as a complete, stand-alone field fencing installation. 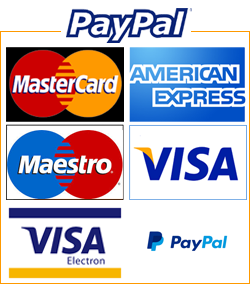 Our electric tapes can be supplied in two widths and come a variety of lengths and colours. Order your Fieldguard Electric Tape today from our webshop here. We do not sell cheaper, pre-formed plastic stakes which easily come out in high winds when used with wide tape. Plastic stakes are also prone to snap in freezing weather. Our fibre glass stakes make a far better investment and are recommended with our renowned electric fencing systems. Fieldguard fence stakes are made from durable resin bonded glass fibre and are strong, rust-proof and virtually unbreakable. They can be reused indefinitely as either temporary or movable fencing. They also ensure that fencing will not fall down. Even though adapted for tape, plastic stakes are designed for less wind resistant products such as electric string, wire and rope. Here are five products to help keep your fencing in good shape. Green Gloop Cleaning Fluid is a concentrated detergent, disinfectant and deodoriser that is harmless to all animals and fowl. With a pleasant floral odour, it is also environment friendly. Fill an old sponge with a strong diluted solution of Fieldguard GREEN GLOOP, fold the sponge in half with the tape inside the cavity. Then just walk along the length pulling the sponge along and this will clean the tape and bring it up like new. Green Gloop is the preferred cleaner in many livery yards, stud farms, professional kennels and catteries, and an animal health laboratory. It is ideal for cow barns, chicken and bird housing, pig pens and farrowing crates. Sometimes the wire in the tensioner becomes misshapen or ‘unwinds’, invariably when an animal has made violent contact with the electric fence tape. The system is designed for this to be the weak point that gives way in such circumstances. It is cheaper to replace the wire than tape. This is absolutely essential in all tape systems as the tape – to be effective – must be held and tensioned. This electric fence tensioner is used at all breaks in a straight tape run such as corners, gate openings, and the start and finish of a run. It is supplied with two self tapping coach bolts (R36S) to go into wood stakes. This special insulator is made from soft plastic and has rounded edges that grip the tape firmly so that it does not wear with wind movement. It also maintains existing tension. The cap can be secured to the insulator with its own violin pressure pegs or separate screws (R8S). Neither can be over tightened but hold the cap with the correct pressure on the tape to stop chafing. These are a more stable form of keep tidy, although not as convenient as the R36CLIP when re-tensioning tape. One half of the tidy is pushed through both tapes and the other half clipped to it on the other side. It makes a very neat fixing.